The Traveling Stories website offers some dire statistics: one in four children in America grow up without learning to read, and two-thirds of students who can’t read proficiently by the end of fourth grade will end up in jail or on welfare. The nonprofit organization believes that the way to change these statistics is to foster a love of reading in our children by making reading a positive experience. Which is why, when Traveling Stories applied for one of our small grants, we were eager to say yes! What better way to help American children succeed in school and in life? 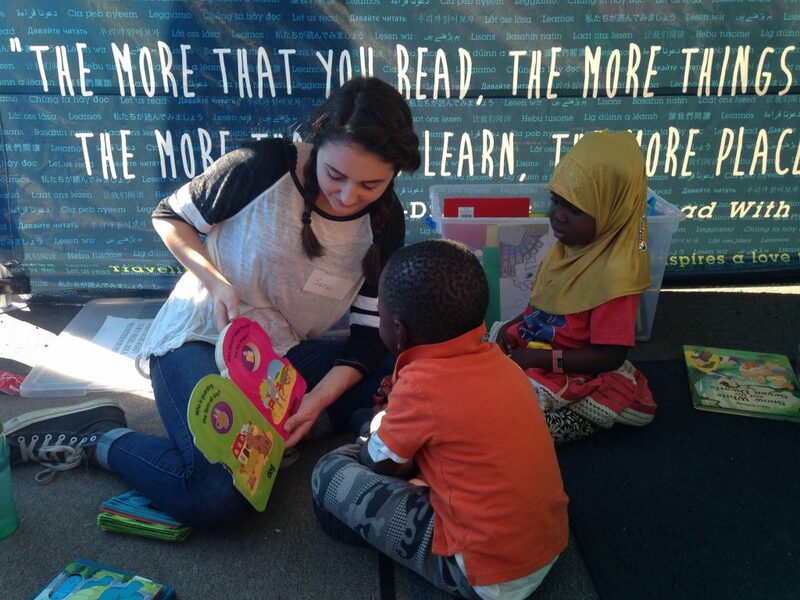 Kars4Kids: The mission of Traveling Stories is to get kids to love reading. What’s the secret sauce for making that happen? Hezhi Naseem: Realizing that there isn’t a secret but understanding that children all have different interests allows us to support them while they discover their own love for reading. Kars4Kids: It looks like kids need to have an ongoing commitment to the Traveling Stories program in order to earn “book bucks” and buy prizes. 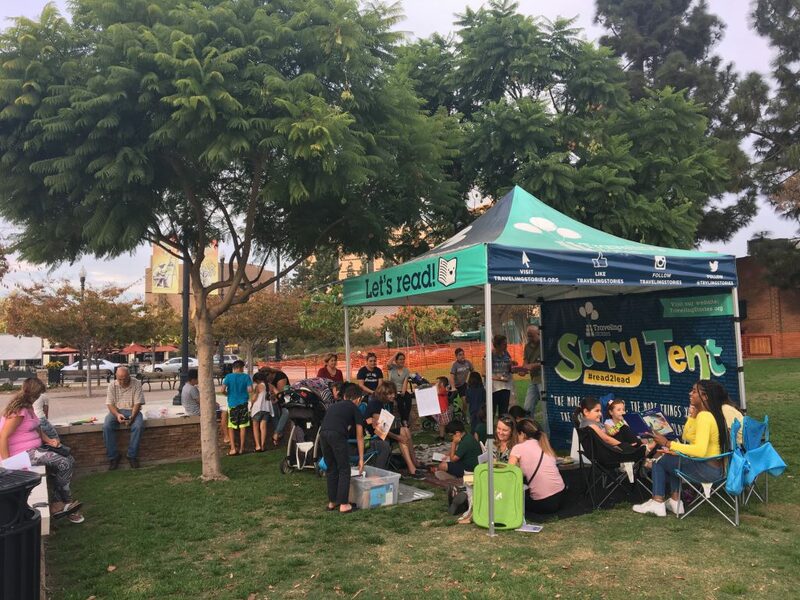 It’s one thing to incentivize children to read, but how do you get parents (especially working parents) to bring them to Traveling Story StoryTents, on a regular basis, in the first place? Hezhi Naseem: A lot of our readers are definitely regulars but they certainly don’t need to be to earn book bucks and prizes. We make sure to stock our prize bins with items starting at 1 book buck, that way, even if a child was only able to read one book during their visit, they can still earn a prize. We want kids to be able to place a value on reading and having prizes available in every price range helps with that. Parents are asked to accompany their kids while at the program and even encouraged to participate. While at the program, parents can see that their children are gaining more than literacy support. They are becoming a part of a community, learning money management skills, purchasing their own toys and understanding the value of reading in addition to receiving literacy support. We also worked really hard this year to schedule all of our programs on weekends, in an effort to away obstacles which might have included work or school for some families. 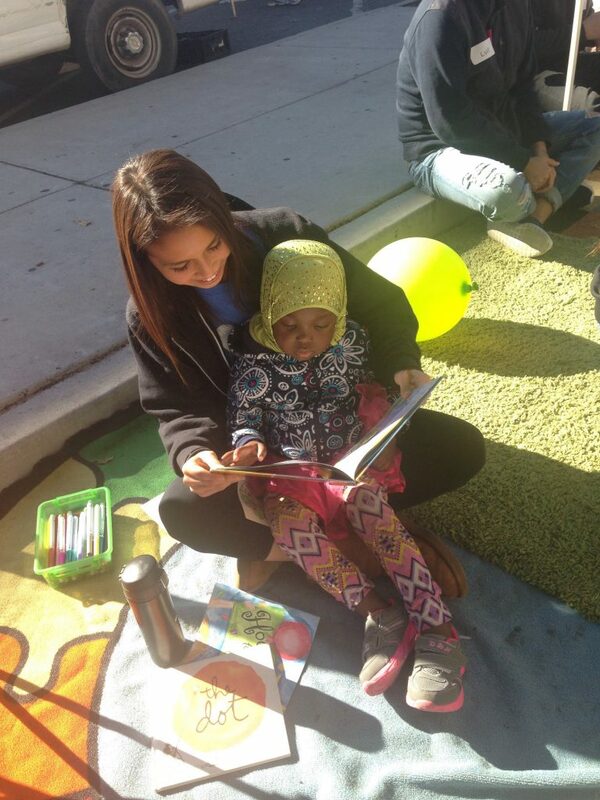 Kars4Kids: You man your StoryTents with volunteers who either listen to children read, or read to children who can’t yet read, and ask questions that help engage the children with the reading material. Do you train your volunteers? Tell us about the training process. Hezhi Naseem: All of our volunteers fill out an application and go through a background check process. Once they’ve been cleared, they receive a copy of our orientation video and volunteer handbook that goes over how kids can earn book bucks, prizes and what their role will look like. Once they are ready for their first volunteer visit, our onsite Field Coordinator will give them another brief in person training/orientation. We have volunteers from different walks of life so they all have their own unique way of reading stories in an engaging and fun way. We also have a batch of comprehension questions on hand for volunteers who would like that extra help when discussing books read with the kids. Kars4Kids: Do children still earn “book bucks” if they can’t yet read? Does listening to a book being read and answering questions qualify children to earn point toward prizes? Hezhi Naseem: Yes, kids between the ages of 2-12 can earn book bucks and prizes. 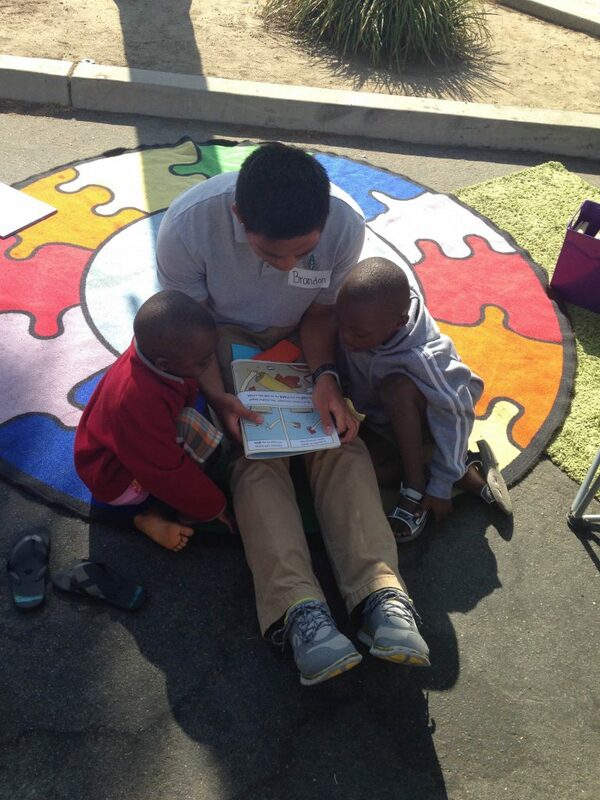 If they cannot read yet, we have volunteers available to read with them. This helps introduce books at a young age and it also encourages teamwork and family involvement. 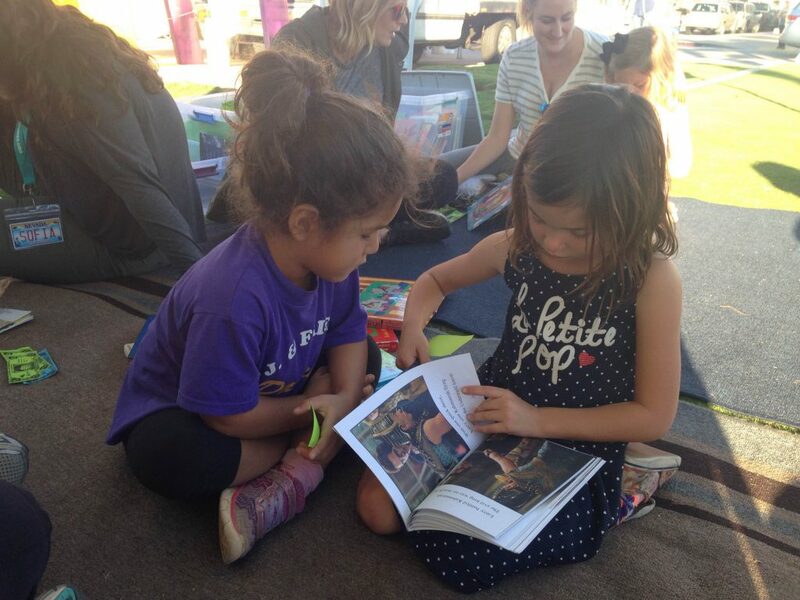 At the StoryTents, you will see a lot of older siblings reading to their younger siblings and/or friends. Kars4Kids: What kinds of prizes are popular with the children? Can they earn books as their prizes? If a child falls in love with a book, can he take it home? Hezhi Naseem: Kids are always buying out our bubbles, playdoh, anything Shopkins- and Paw Patrol-themed. They also love slime—not silly putty—apparently there is a difference. The older kids really like saving up for the more expensive prizes like board games, Legos, and sometimes even scooters and bikes. The kids at our programs are always welcome to borrow or keep books from our programs. 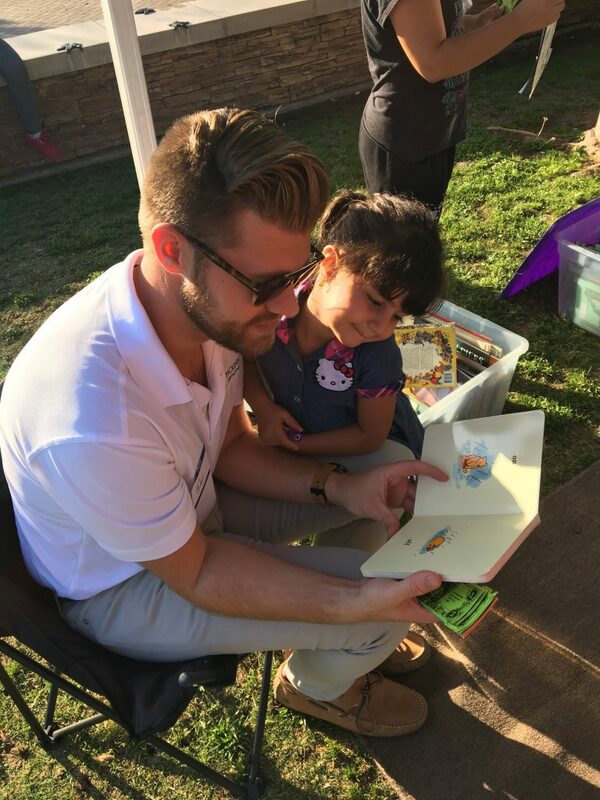 Our goal is to help kids fall in love with reading and if they find a book that they love and want to read over and over again, then we feel that we’ve accomplished our mission. Kars4Kids: Your website talks about the large refugee population in San Diego, one of the places where Traveling Stories operates. Do you see a thirst to learn English in this community? Do you see Traveling Stories as a sort of ambassador for America? Is Traveling Stories the good side of America? Hezhi Naseem: A lot of the families we come across definitely take advantage of the extra literacy support we offer by continuing to attend. From what I have seen, learning English is very important to the families we have had the opportunity to get to know. Kars4Kids: In a blog piece on the ​Readers in the Heights​ summer enrichment program, you describe a teacher at Cherokee Point Elementary using the word “waterfall” while reading to students, to regain order. How familiar are the children in this community with waterfalls, do you think? What are some of the ways Traveling Stories volunteers restore order when kids get twitchy during a story? Hezhi Naseem: At the StoryTents, we thrive in chaos. Because we’ve created an environment that caters to different types of readers, we don’t expect order and control. In fact, when it is quiet is when we start to wonder what’s going on. Our programs are only a couple of hours long and open to the public so we have kids coming in and out. If the kids are ever tired of reading and need to take a break, they are welcome to do so. We run our program in a way that makes it something kids and families look forward to. The kids are encouraged to read what they want, how they want and when they want. Kars4Kids: What’s next for Traveling Stories? Hezhi Naseem: We are currently testing out a Sight Words Challenge at our StoryTent in City Heights. We feel that we’ve already shown that reading can be fun and engaging so now we want to take it a step further and show that as a result, kids are reading at or above grade level. Our Sight Words Challenge is designed to motivate kids to learn their sight words as well as help us track the progress of their growth. The challenge involves a spin wheel and collectable pins for kids. 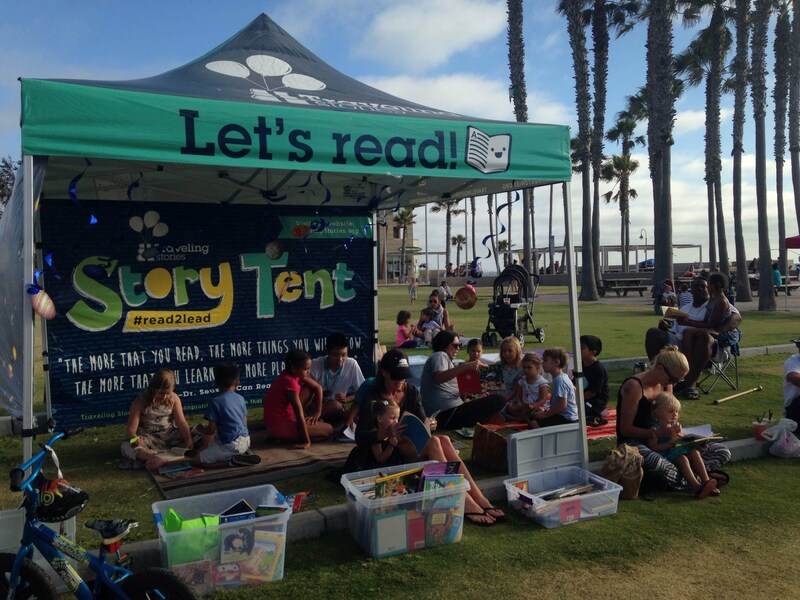 We plan to iron out any kinks this year and roll it out to our other StoryTent locations by next year. For anyone interested in seeing it in action, it will be at our City Heights StoryTent inside of the City Heights Farmers Market every Saturday morning from 9am to 12pm.